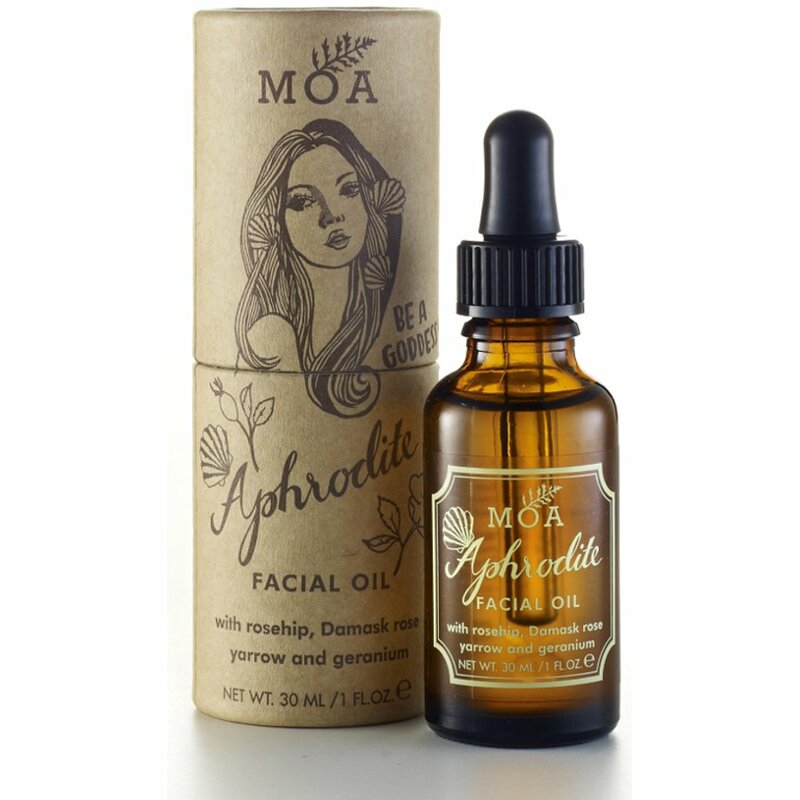 Facial oil fit for a goddess, this magical blend of 74% organic, 100% natural essential oils and extracts is specially blended to leave even sensitive skin radiant and glowing. 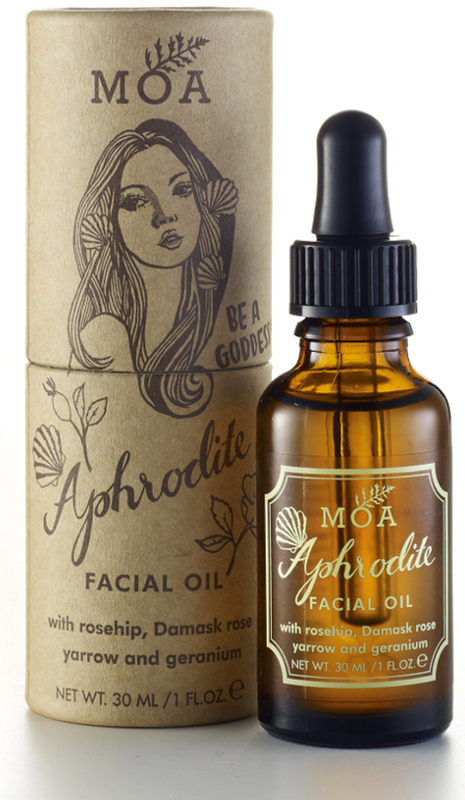 Easily absorbed, it helps to smooth fine lines and ward off premature ageing with its nourishing rosehip oil base. 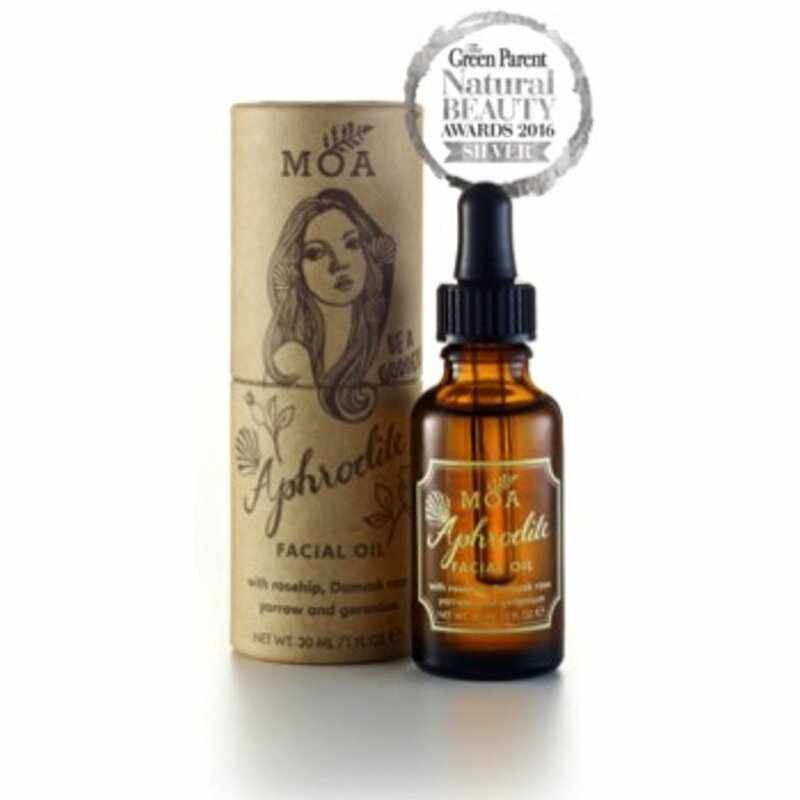 Rosehip seed oil is rich in vitamin A, C and essential fatty acids, its natural skin regenerative properties have been revered for many centuries, restoring elasticity, calming redness and irritation and protect against environmental stress that can lead to age spots and wrinkles. Including damask rose essential oil which is especially helpful for dry, sensitive skin types prone to redness and blemishes, organic yarrow essential oil to help even skin tone, rose geranium to balance and cleanse skin and give a wonderful fragrance and marshmallow extract to gently soothe and calm the skin. Massage several drops of oil onto the face and neck after your daily cleansing ritual, in the morning and just before bedtime. Packaged in a recyclable glass bottle with pipette dispenser in cardboard packaging. 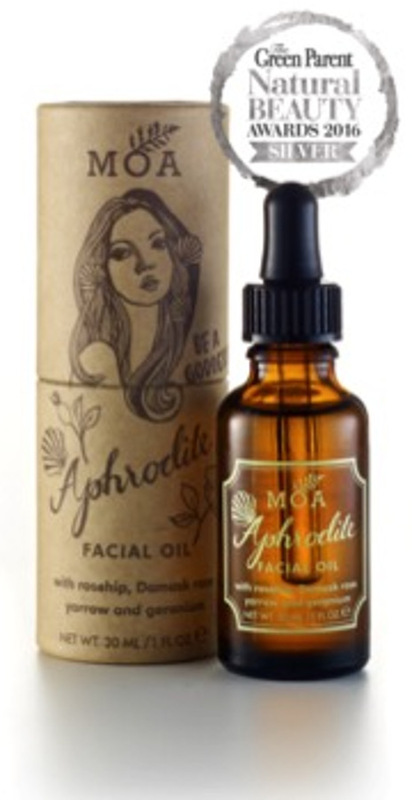 There are currently no questions to display about MOA Aphrodite Facial Oil - 30ml.